Learn three advanced suicides to incorporate into your braintwister combos. Suicides: Vol. 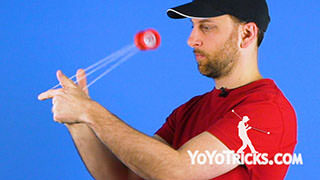 7 Braintwister Combo Series Yoyo TrickThis is the seventh video in the Braintwister combo series. In this video, I am going to be teaching you about the inline suicide, the thumb assisted suicide, and the drop suicide. Now, before you learn these tricks, we recommend that you make sure your string tension is neutral. We also recommend that you go check out our video about Suicides on the side mount. There is lots of helpful tips and tricks that will make it easier while learning these tricks. To perform the inline suicide, you are going to start by landing in your bottom mount. Once you are here, you are going to point your throwhand to where it is facing outwards. 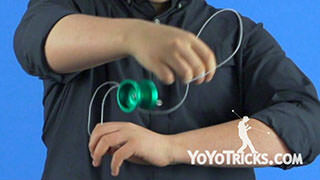 Then you are going to swing the yoyo to the outside of your wrist. As it reaches the height of your hand, you are going to let go of the string. This will create a suicide loop that arcs over your hand and you can catch this in front of your body back in your bottom mount. 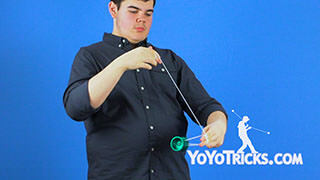 If you are having a bit of trouble learning this trick, we recommend moving your throwhand forward as the string arcs over your hand. This will keep the string from getting tangled up and make this suicide loop wider. The thumb assisted suicide is a little bit easier to learn. 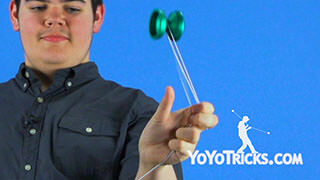 You are going to star this one by placing your non throwhand thumb on the string that is coming from your throwhand. 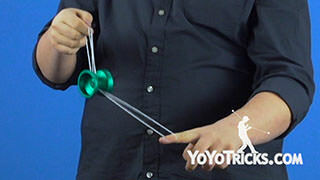 Once you are here, you are going to swing the yoyo upwards. 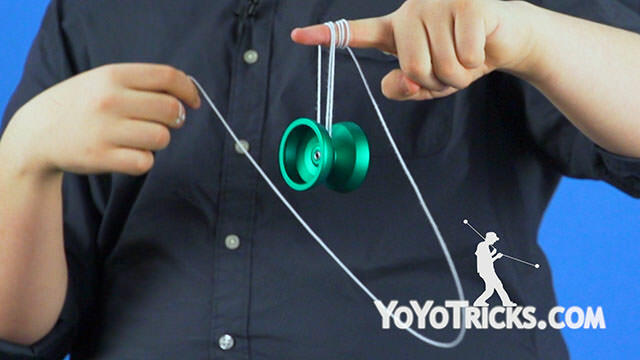 Just before the yoyo reaches its apex, you are going to release the string that is on your non throwhand finger. This will create a suicide loop that you can catch in front of your body, back in your bottom mount. 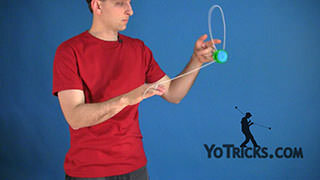 If you are having trouble learning this trick, the same tip applies to move your throwhand forward. Once again this will give you a little bit more room to land it and open up the suicide loop for you. To perform the drop suicide, you are going to start by performing a reverse flip. But instead you are going to land the yoyo on the outside of your wrist. Once you are here you are going to spread the strings open. You are going to drop the yoyo quickly catching it underneath your throwhand. 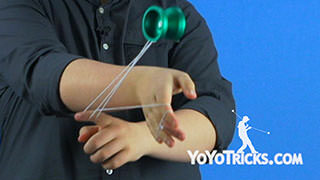 If you are having a bit of trouble with this, we recommend pulling the string over your wrist. This will give you more time to catch the suicide and keep the string from moving as fast. Suicides do not stack, but we can use tricks that we have already learned to integrate them into our combo. For example, you can perform a Slack Unwrap and then go right into your drop suicide. You can do the same with a Bounce. 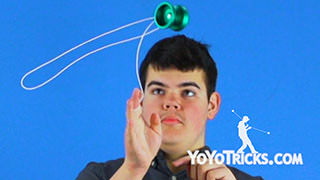 Speaking of bounces, it is a really handy transition to use to get into your thumb assisted suicide. You can also use the drop suicide to go right into your inline suicide, the momentum works really well. So, learn these tricks, integrate them into your combos, and you now have everything that you need to build the Braintwister combo of your dreams. And now you have everything to build the Braintwister combo of your dreams. Really great work out there. I just, I am going to have to take this from your now. 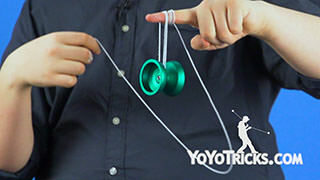 Just give me this yoyo dude. I just, I just need this. Thanks. Isn’t he the kendama guy? What’s-? Frontstyle Speed Combos coming soon!